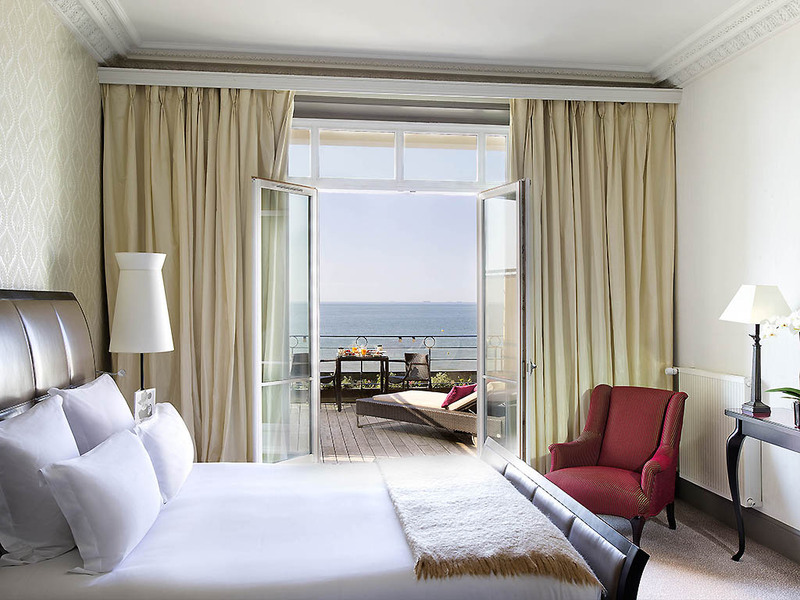 Le Grand Hôtel Cabourg is one of the only upscale hotels on the Normandy coast to boast direct beach access and a gourmet restaurant facing the sea: Le Balbec. 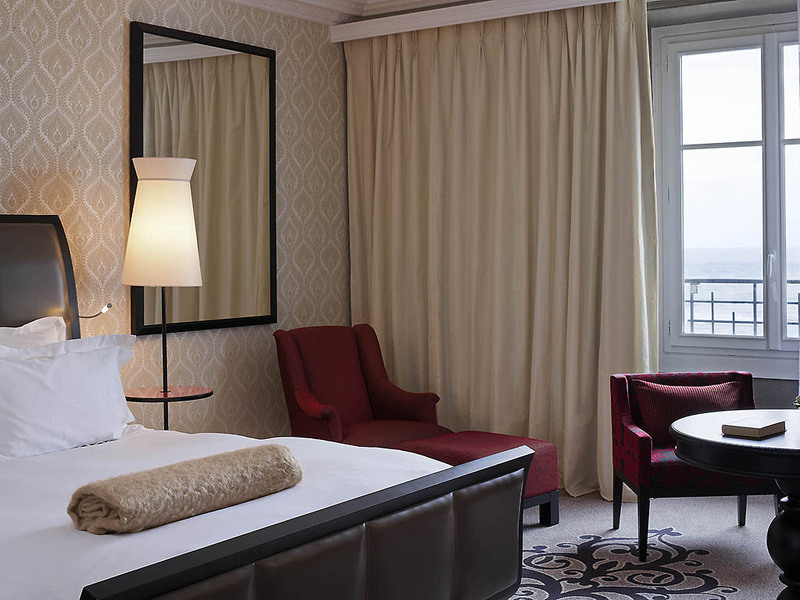 Built in 1907 and immortalized by Marcel Proust, Le Grand Hôtel offers an intimate, romantic atmosphere. 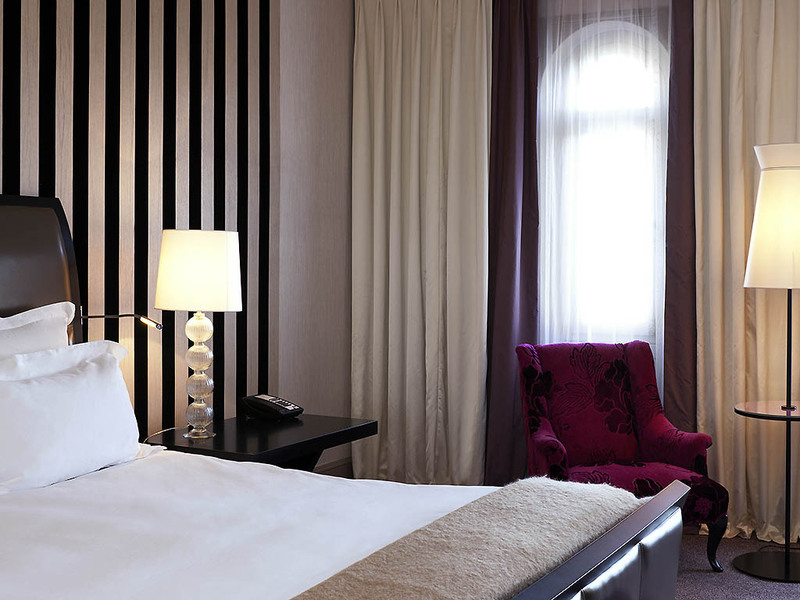 Discover our spacious and comfortable rooms with views of the sea or the casino gardens. Enjoy a well-being break in our Spa with a romantic couples massage. Stroll along "Le Méridien de l'Amour" promenade, spend a day at the races at the Hippodrome or try your luck in the casino. In June, the world of cinema descends on Cabourg for the romantic film festival. 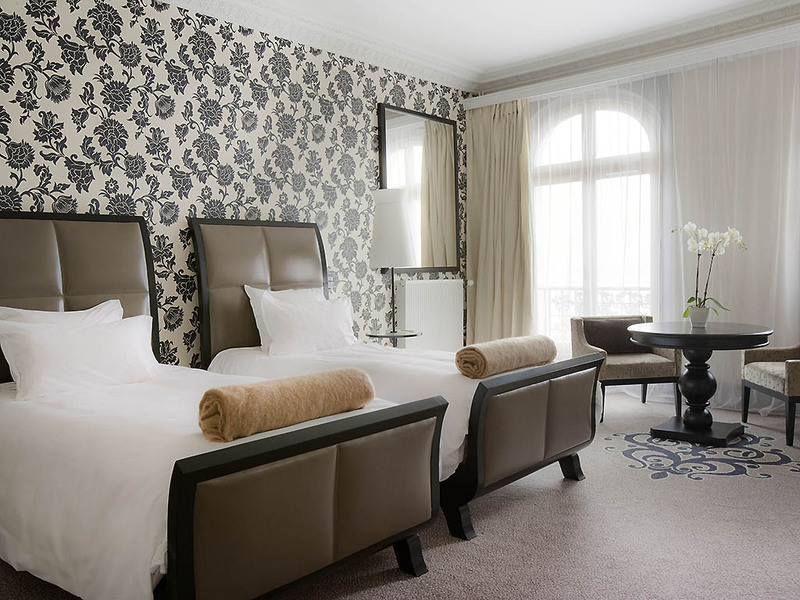 Families and couples will enjoy our family rooms or suites for a stopover on the Côte Fleurie. Finish your stay with our musical buffet. Welcome to the splendor of the hall; its chandeliers, large bay windows and high ceilings combine majestically to create a truly timeless ambience. ..
On the terrace and in the plate, the ocean holds a place of honor at Le Balbec. Discover our musical buffet for lunch on Sundays, with fish, seafood, meats and desserts. Gaze out over the sea from your room. 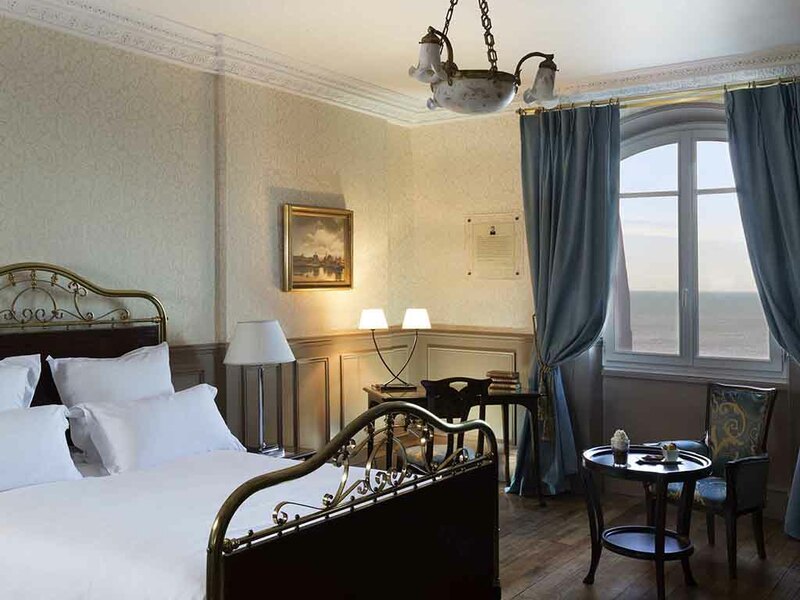 A dominant presence along the vast beach since 1907, Grand Hôtel Cabourg MGallery by Sofitel is a veritable institution on the Norman coast, where Proust once strolled in search of inspiration. Discover the history of this majestic 5-star boutique hotel. From the hotel's splendor to poetic sea views, the writer may very well have found inspiration for his famous books here. La Belle Époque means beautiful era in French, and perfectly describes the timeless elegance of this recently refurbished building. It's your turn to stay in this iconic hotel, which has welcomed the world's greatest artistic figures for more than a century. Sample the gastronomy of Le Balbec restaurant, and treat yourself to a well-deserved break at the Parenthèse de Bien-Être spa. In your room or suite, savor housemade madeleines as you gaze at the horizon or garden. For us, these gourmet treats symbolize how sweet it is to recall the past while living moments of refinement and timeless "art de vivre". In a word, your Grand Hôtel. Like its distant Basque cousin Biarritz, Cabourg is a French seaside resort that has succeeded in preserving its historic spirit. 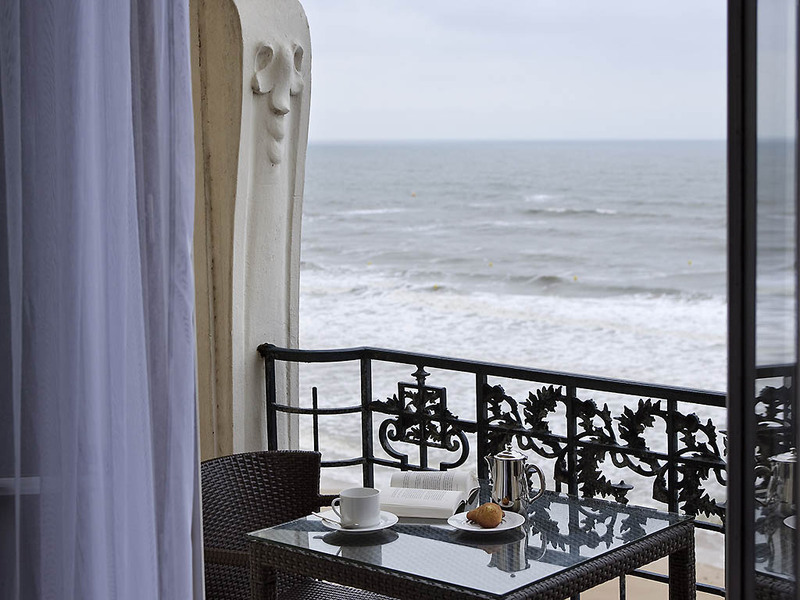 Cabourg is resplendent in all its architectural glory with an incomparable seafront. From the A13 highway, Cabourg is 5 miles (8 km) from the "29b Dozulé" exit. At the Cabourg entrance, continue straight on at the roundabout on to Avenue de l'Hippodrome. Then, continue straight on to Avenue de la Mer. The hotel is in front of you in the Casino gardens. The hotel has 15 private paying parking spaces. However, a free public car park is available to you in front of the hotel. 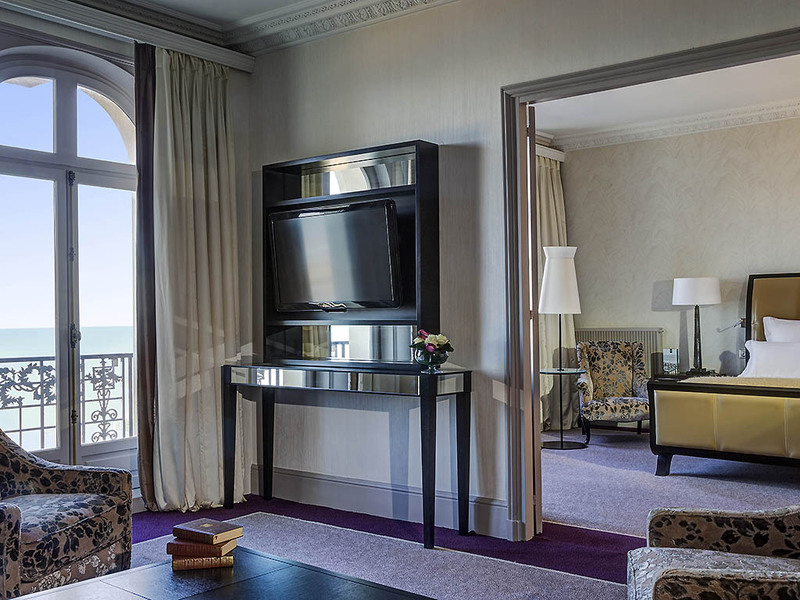 Your spacious Coquatrix suite is named in honor of the illustrious figure from the world of entertainment who served as the mayor of Cabourg. 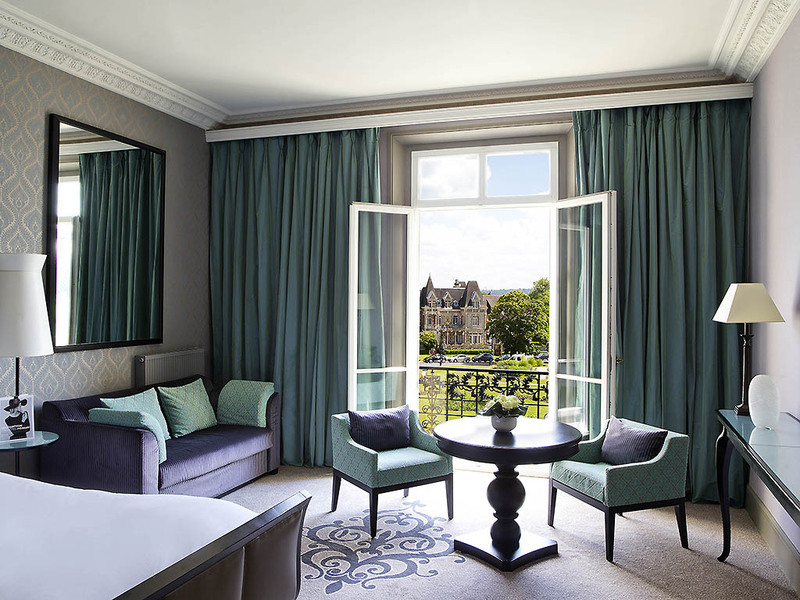 Give in to the romance of the Channel from the lounge, decorated with ornate moldings and damask armchairs. Room measuring 463 sq. 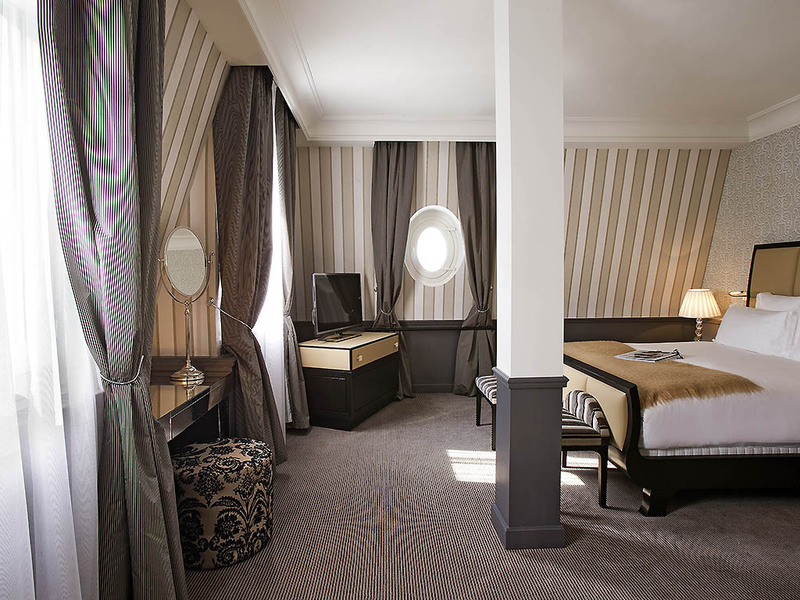 ft. (43 m²), inspired by the Belle Epoque and the home of the famous writer Marcel Proust. Tea and coffee making facilities, and mineral water, minibar, free Internet connection, bathroom with bathtub and C.O. Bigelow toiletries. One of the best tables in the Normandy region, the gastronomic restaurant at the Grand Hôtel Cabourg hotel offers a subtle gourmet menu, inspired by traditional cuisine which is reinvented by our talented chef. At Le Balbec restaurant, your Sunday lunch becomes a veritable gastronomic feast. Dine with your feet in the sand at La Plage, one of Cabourg's most distinctive restaurants. In addition to the enchanting beach view, you are seduced by the bar's gourmet creations. Make getting together easier and more pleasurable by relying on MGallery's savoir-faire to create a unique atmosphere of conviviality and well-being.